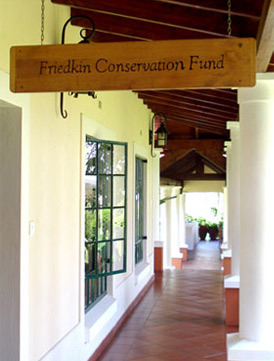 Friedkin Conservation Fund (“FCF”) operates as two separate but related entities – one is a Texas based nonprofit corporation that is registered as a 501(c)(3) entity in the United States, the other is known as “The Friedkin Conservation Fund of Tanzania” and is set up in Tanzania as a charitable Trust. FCF was established for the purpose of conserving more than 3.2 million acres of Tanzania’s protected wildlife areas. In order to achieve this objective, they operate anti-poaching operations working closely with the Wildlife Division of Tanzania. FCF also sponsors innovative community development projects and manages a Geographic Information System (GIS) for mapping and research to compliment the anti-poaching initiative.